They supposedly are of the follow versions. I have a question about this 6 speed transmission. I need to know does it have a power speedometer cable or a wire speedometer cable and does it fit into W124 instrument panel. it does not have a wire speedometer, and neither is it the same size as the 717.4 gearboxes, where this is slightly higher on most models, will get a picture and update tomorrow. I was wondering whether this gearbox can be retrofitted into an 1999 w210 e55 AMG ? 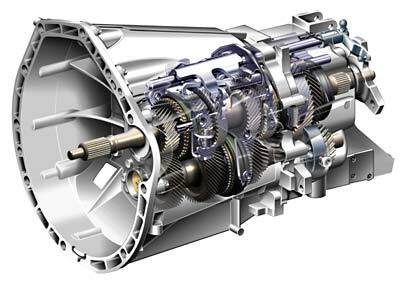 in theory, althou you would need to make shure the gearbox is form a v-shaped engine, and i cant guarantee it would fit the e55 anyhow. the w210 came with the sixspeed 716. but they are different in size, so i cant guarantee it will fit straight away in the tunnel. a valid option would perhaps be getting a gs653dz or alike from BMW and have that rewelded. its a stronger box, and might be worth it if going down that route. dont know what flywheel options you have. Hello, I own a S210 250 Turbo Diesel and it has manual 5 speed transmission and am considering a 6 speed swap. I was talking to a friend and shop owner about possible 6 speed swaps for better Fuel Consumption as well as highway cruising comfort. He told me that until the 2000s Mercedes never invested much into fitting the right transmission with the right engine and making all the right adjustments for a “perfect fit”. It was mostly getting a durable OM6xxx engine with a durable gearbox and voilà. Having said that which gearbox/diff combo would best fit this? I’ve been advised for anything with a ratio higher than 2.87. Possibly a 3.07 would be perfect match? I was looking into getting all this from a w210 220 CDI with 6 speed and 143hp (to match my 150hp) or even a w211 220 CDI that has exactly 150hp. Do you have any advice on such a swap? thank you!